When the Cleveland Museum of Art opened its East Wing galleries, we created outdoor banners with a cloud detail from René Magritte’s The Secret Life (from CMA’s east wing collection). 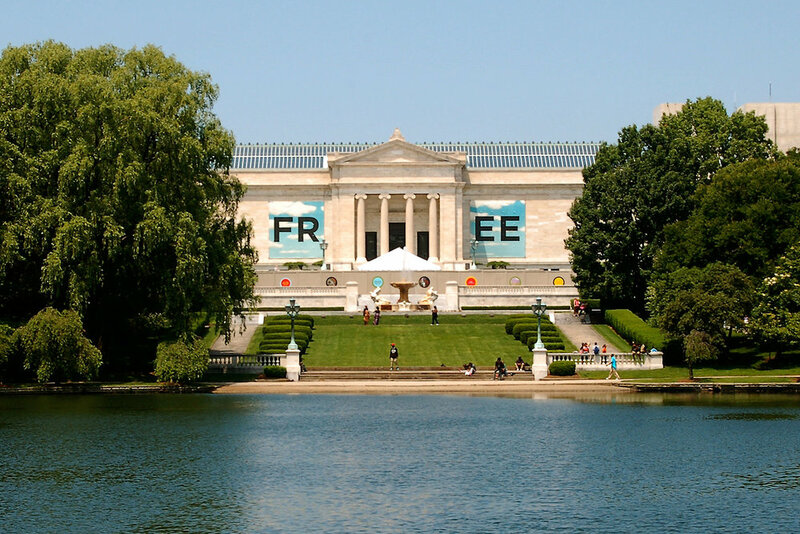 When the Cleveland Museum of Art re-opened its East Wing galleries, Agnes Studio created large-scale outdoor banners flanking CMA's historic 1916 building entrance. 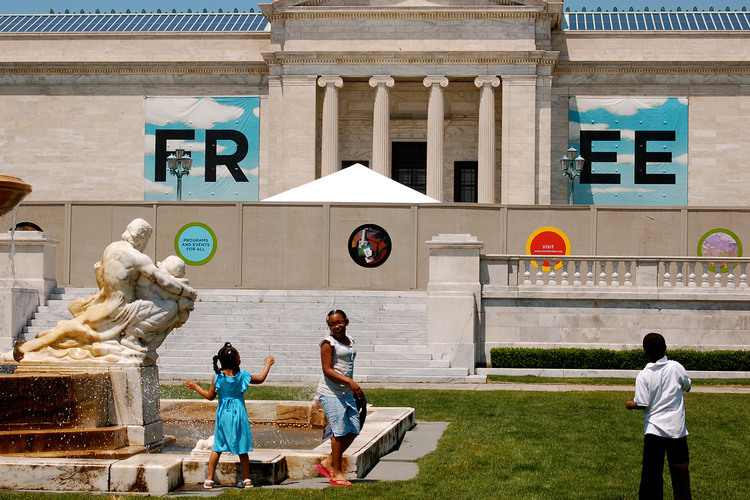 The banners featured a cloud detail from René Magritte’s The Secret Life (from CMA’s collection) and the word FREE—celebrating the museum's unique free admission, summer, and the reopening of the building. We also developed construction fence "portholes" to communicate what's inside.